What’s more fun than sitting down at your favorite bar with a few close friends to play a board game? Here are ten great strategy board games to play at bars that entertain and also challenge the mind. Settlers of Catan is a well-known board game that is never the same experience twice. It’s a resource building game where you and your opponents amass natural resources (brick, grain, sheep, stone, and wood) to build settlements, cities, armies, and roads. 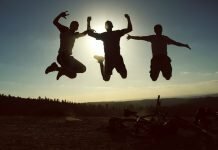 Settlers plays best with 3-4 people and takes 1-2 hours to finish a game. You might knock this strategy board game for having too many pieces for a bar, but this game hits a definite sweet spot for appealing to competitive players while also being easy to learn and play. 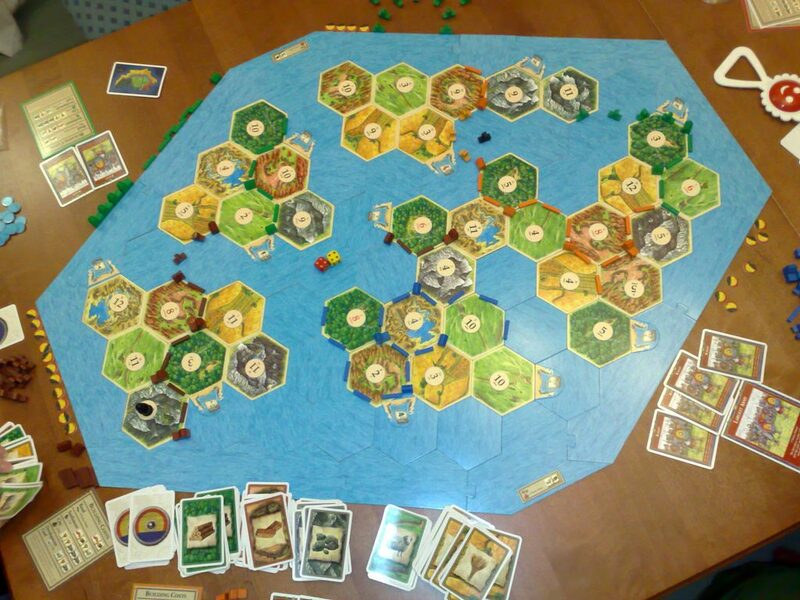 Learn more from the creators of Catan. 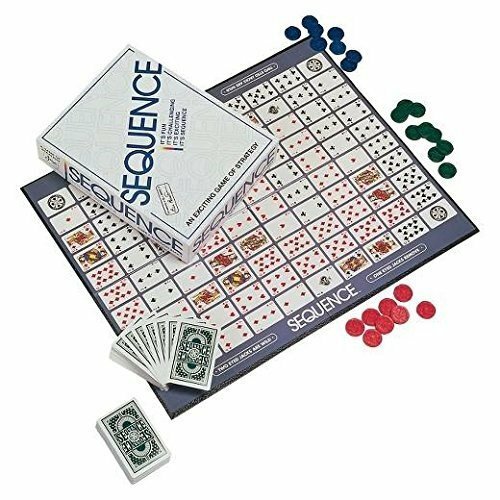 Sequence is a combo of both board game and playing card game designed for 2 players (variants of the game allow up to six) that takes about 30 minutes. The board lays out two decks of playing cards and the object is to get two lines of five playing cards in a row to win. It’s a Connect-4 type of concept, but on a much more intricate scale. Sequence is great because it is very easy to play, and a win can come either from luck or smart choices. 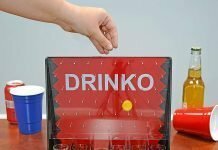 If you want a beer sipping night while having great conversation with a partner, this is one of the best strategy board games to play. 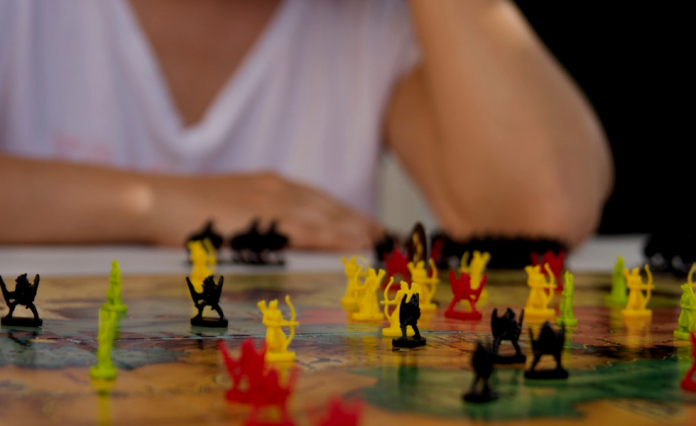 Risk is classic strategic board gaming, it’s been around since 1959 and has many variations. On a board representing the world, 2-6 players take turns building armies and conquering continents. You can play Risk in 1-2 hours (or much longer). Risk gets close to that zone of too many pieces for a bar game, yet it’s ubiquitous enough to be enjoyed by anyone. 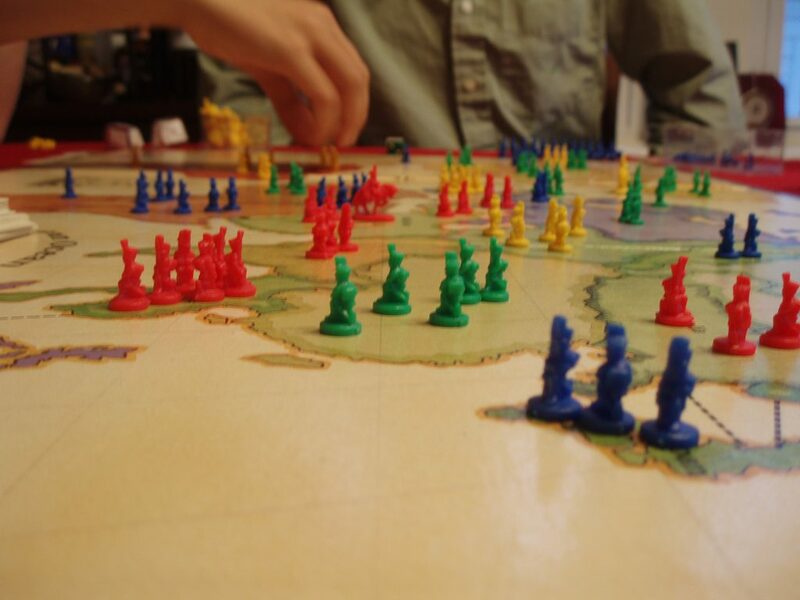 If you saw a table playing Risk at your local bar, wouldn’t you want to play it, too? Risk has that kind of allure. 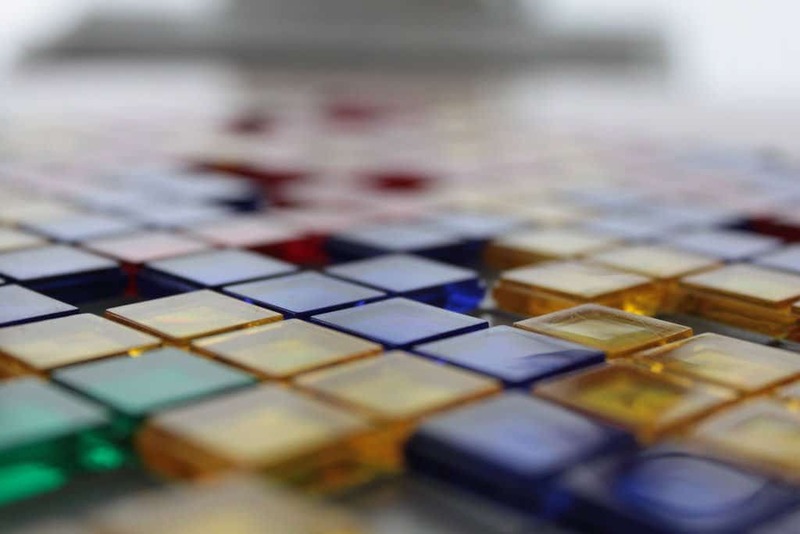 Blokus is a very colorful board game of tile placing, reminiscent of Tetris. Yet, none of your pieces may be placed directly adjacent to each other, they may only touch corners. Blokus is designed to be played with 4 people in about 20-30 minutes, but 2-3 players make for an interesting game, too. The concept of Blokus is very easy to grasp, yet it finds complexity in its geometric design, which makes it great for friends & family, and it won’t take all of your concentration to play. It’s also perfectly sized for a table of four. Gobblet is a 2-player game of nesting wooden pieces that’s something between Memory and Tic-Tac-Toe on a four by four grid. The goal is to place four of your pieces in a row, yet during all of the stacking and un-stacking during a game one might lose track of who’s piece is under another and accidentally win the game for their opponent. Gobblet is quick, you can easily play a game in 10-20 minutes, but the fun is in the planning or mis-remembering of where your stacked pieces intertwine with your opponent. The actual game board and pieces are hand-crafted wood, which makes the game very appealing in a tactile and visual sense. Gobblet makes for a great strategy board game at a small table or up at the bar. 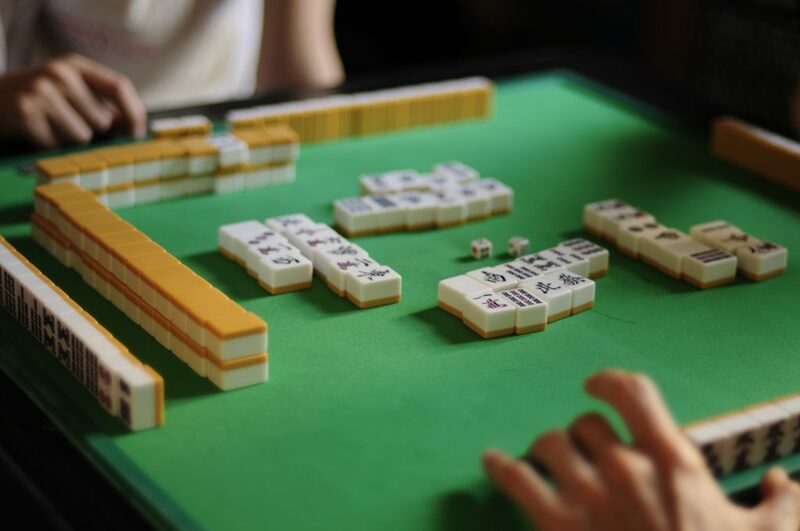 Mahjong isn’t really a board game (it lacks a board), but it is a strategic tile game similar to rummy that is easy to learn. Four players take turns drawing and discarding tiles until they can accumulate four suits and a pair. While the Chinese character tiles might intimidate someone unfamiliar to the game, think of them like playing card suits and it gets much easier. Here, learn how to play in two and a half minutes. 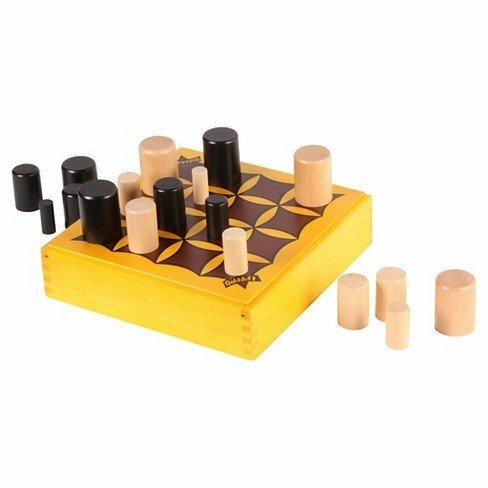 Othello (aka Reversi) is a great strategic board game for 2 players that can be played in 15-30 minutes. It is a tile-placing game and the goal is to have the most of your color tiles on the board once all of the game space has been used up. Each time you place a tile that traps your opponent between two of yours, flip all of your opponent’s tiles to your color. 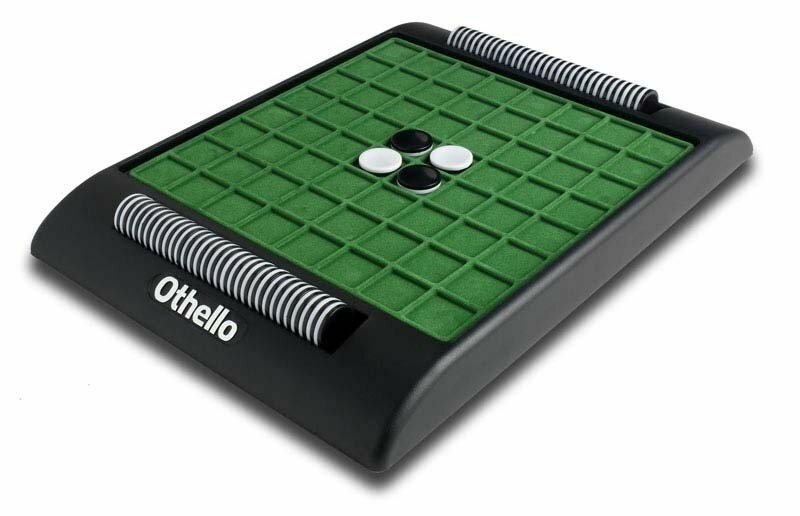 The appeal of a game like Othello is that it’s easy to play and yet could take a lifetime to master. Othello is a great game to play and idle away some time with a drink, or take on challenger after challenger at your bar. 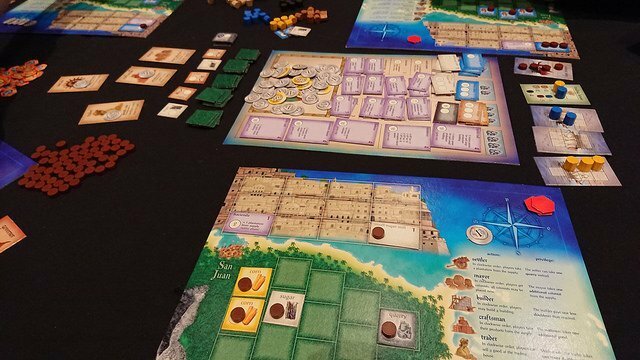 Puerto Rico is a similar game to Settlers of Catan in that it’s a resource accumulation game, but differs in that each player assumes control of a port city trying to grow crops to ship out for doubloons. 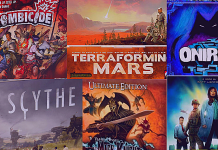 2-5 players can play over 90-120 minutes, and each player gets a game board to place in front of them to represent their port with buildings to construct, crops to grow, and resources to trade. Puerto Rico does take a little more effort to learn, but it has a ton of choices one can make to bring in victory. What’s nice is that doubloons are fairly easy to come by, and by the end of the game they really start to rack up and create excitement. 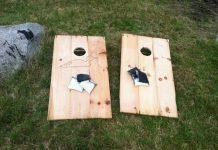 Since everyone gets a small game board, it can be played fairly spread apart over several surfaces. 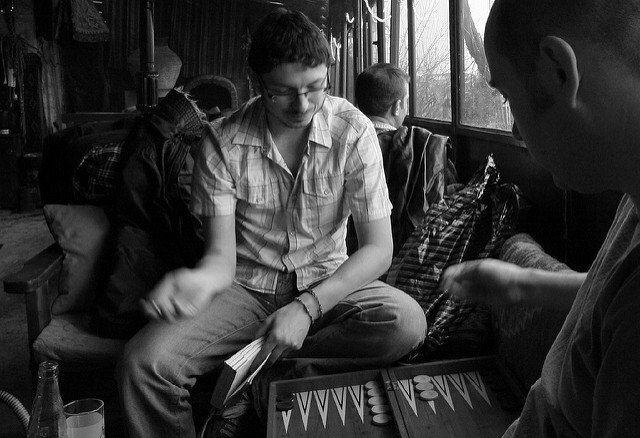 Backgammon is a 2 player game played on a distinctive board of triangles, and players take turns throwing dice to determine how they can move their 15 pieces off the board (that’s a simplification of how to play, there are many different choices to make about how one moves their men). 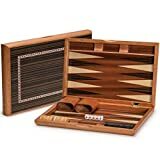 Backgammon is actually the oldest board game on this list, its invention is credited to the Sumerians of ancient Mesopotamia. Most sets are made to be self-contained, so all you need is enough space to set down the board, which is nice. Plus many game boards are hand-crafted wood and decorative, which makes them attractive to play. Good ole’ Scrabble. Whether you’ve got the simple board or a rotating travel edition with grooves to place your tiles, Scrabble is a great board game for 2-4 players that can take 30-90 minutes to complete. The object of the game is to take seven randomly-chosen letters and create words on the board for points. 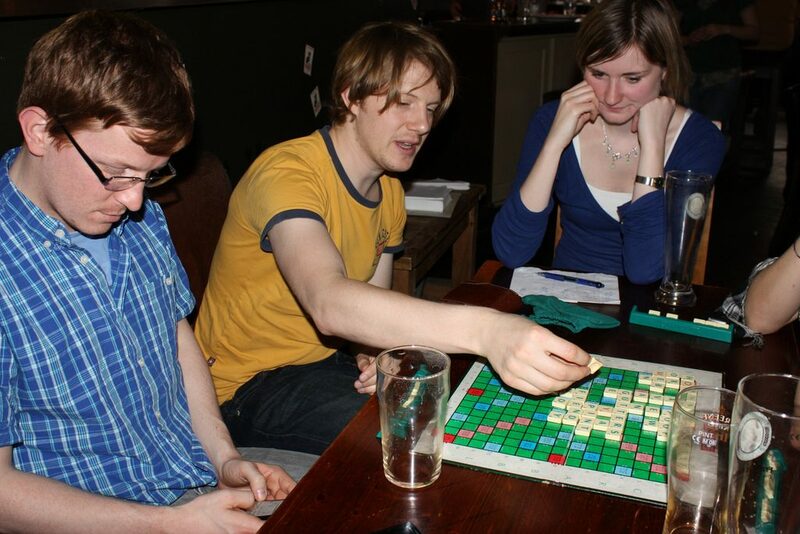 People play Scrabble for fun, or they play in cut-throat competitions. 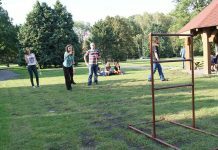 It’s easy to play, and another game that’s easy to enjoy with friends and a few drinks. 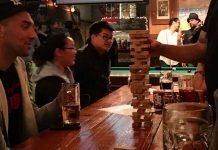 So, there are 10 strategy board games to play at your local bar! If you want more board games to play over a couple drinks, check out these retro options. There are many more games out there to play in a bar atmosphere, what would you choose?